This shallow rectangular box may have been used for cards. 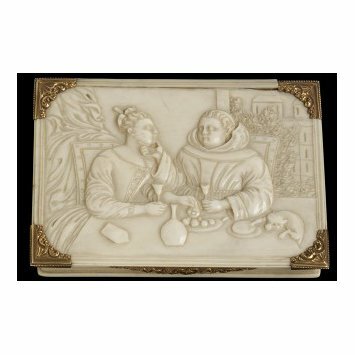 On the lid is a satirical scene depicting a monk and a lady at a table with a wine flask and goblets. The monk is shown chucking the lady under the chin while a dog seizes some food from the table. The dress and scene are eighteenth-century in style, although the carving is poor, and this may be a later pastiche, probably dating from the mid nineteenth century. 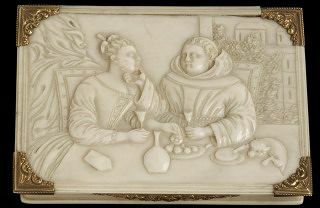 The composition probably derives from a print, and was probably carved in the Netherlands. Box. 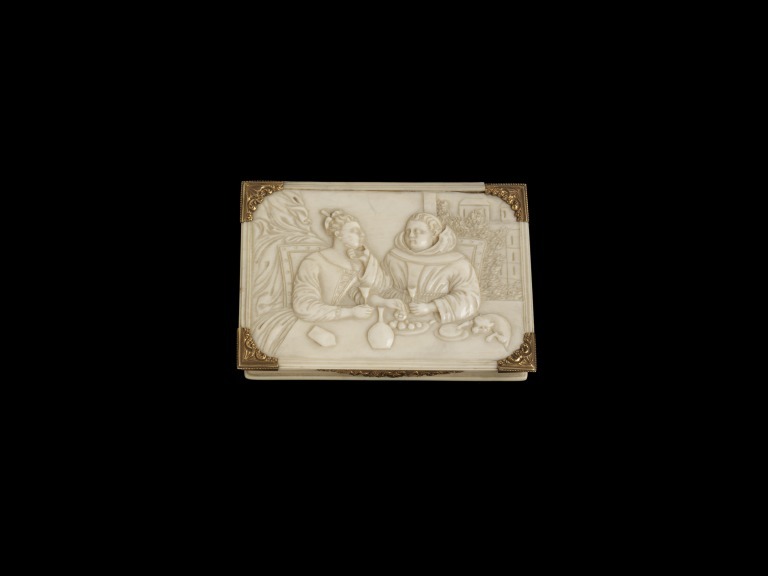 Ivory, oblong with chased gold mounts, the lid carved in relief with a monk and a female seated at a table, with a wine flask and goblets, the monk chucking the lady under the chin. A dog seizes some food from the table. A landscape can be seen outside the window. From the Jones Bequest in 1882.